Andrew is a Northern California native and graduate of Bishop O’Dowd High School in Oakland, California – Go Dragons! He grew up and has been a part of the fabric of the very communities that he is now serving. After completing his studies at San Diego State University with a degree in economics he moved back to the Bay Area. 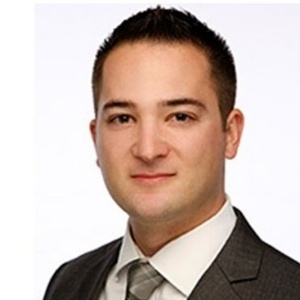 Andrew joined the LaSalle Financial team after starting his career at the RPM Mortgage Corporate office, where he specialized in underwriting Jumbo loans. In this role, he learned the fundamentals of the loan process, and how to meet a client’s needs. In his current position as a Loan Consultant, he guides clients step-by-step through each phase of a loan from start to finish. With five-plus years of mortgage experience, he is committed to finding the right home financing options for you and your family. Whether you are a first time or seasoned homebuyer, you will receive a first rate, professional experience. Diego State University with a degree in economics he moved back to the Bay Area. Andrew joined the LaSalle Financial team after starting his career at the RPM Mortgage Corporate office, where he specialized in underwriting Jumbo loans. In this role, he learned the fundamentals of the loan process, and how to meet a client’s needs. In his current position as a Loan Consultant, he guides clients step-by-step through each phase of a loan from start to finish. With five-plus years of mortgage experience, he is committed to finding the right home financing options for you and your family. Whether you are a first time or seasoned homebuyer, you will receive a first rate, professional experience.